Karl Storz gastroenterology portfolio combines innovative technology with ergonomic design ensuring greater efficiency and ease of use with enhanced image quality. 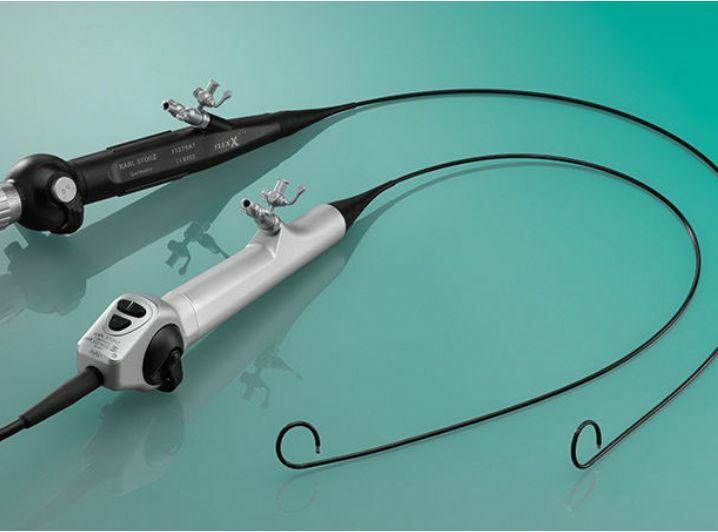 Setting new standards in video endoscopy, Karl Storz gastroenterology range includes flexible gastroscopes and colonoscope as well as duodenoscopes and portable compact solutions. The portfolio offers complete solutions to meet any gastroenterology demands as well as advanced visualization display options for diagnostics. Karl storz comprehensive portfolio in urology includes diagnostic and therapeutic solutions for endoscopic urology, setting standards in pa-tient safety and reliability. Karl Storz urology series includes stone management by lithotripsy as well as instruments for kidney stone removal, rigid and flexible tele-scopes, flexible video endoscopes for urology, laser surgery devices, HF surgery devices, instruments for photodynamic diagnostics as well as a full range of instruments for urology. Karl Storz complete product range in Gynecology offers solutions for laparoscopy and hysteroscopy procedures. The portfolio additionally includes solutions for fetoscopy and reproductive surgery as well as amnioscopes and ductoscopes. 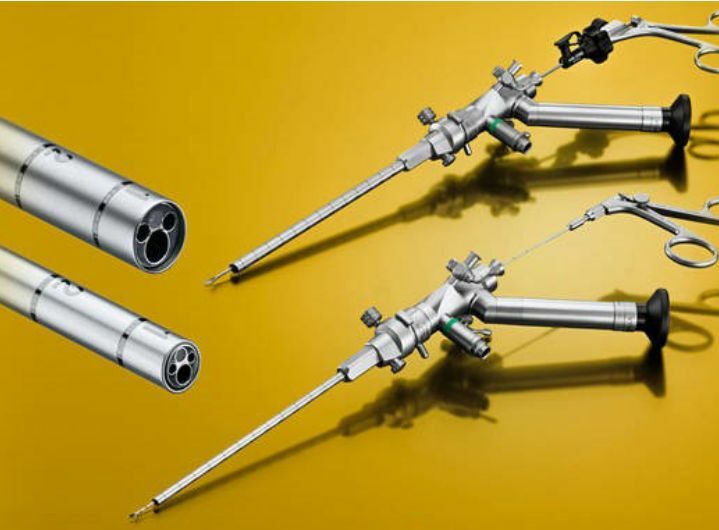 Karl Storz has been a pioneer in the development of rigid endoscopes for use in laparoscopy for decades. Karl Storz laparoscopy range covers both diagnostics and surgical solutions across a multitude of disciplines including urology, gynecology, and general surgery. 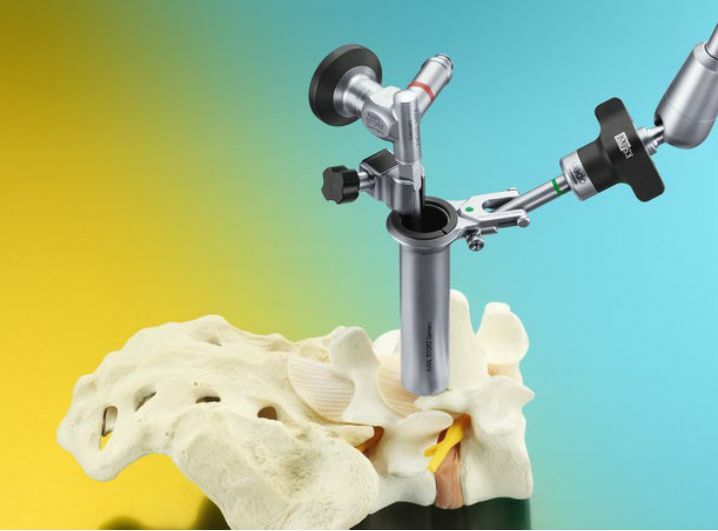 Karl Storz laparoscopic product are designed for durability and strength while offering enhanced imaging and exceptional detail. 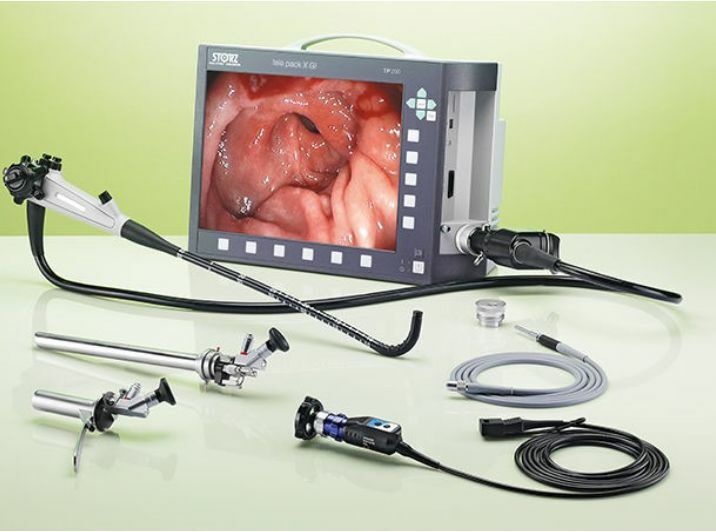 Karl Storz has a solution to meet your needs in laparoscopic surgery. 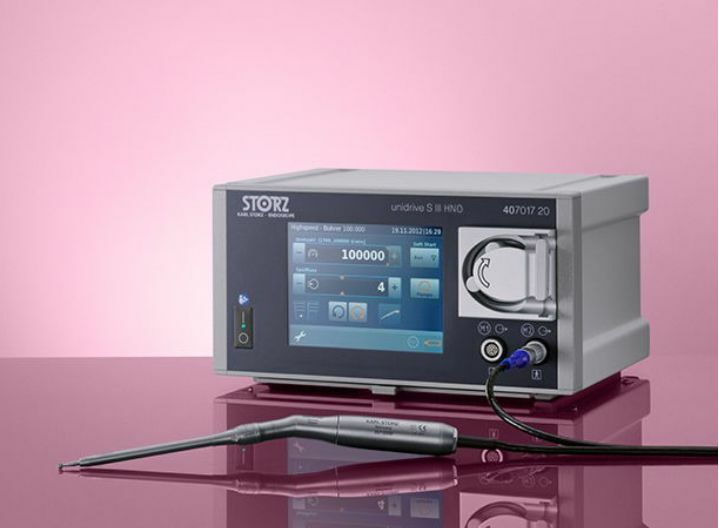 Karl Storz portfolio for oral and maxillofacial surgery offers endoscopy instruments for minimally invasive procedures of the face, mouth, jaw and neck. The portfolio includes sialendoscopes for exploring the salivary glands and for the removal of stones eliminating the need for open salivary gland surgery. 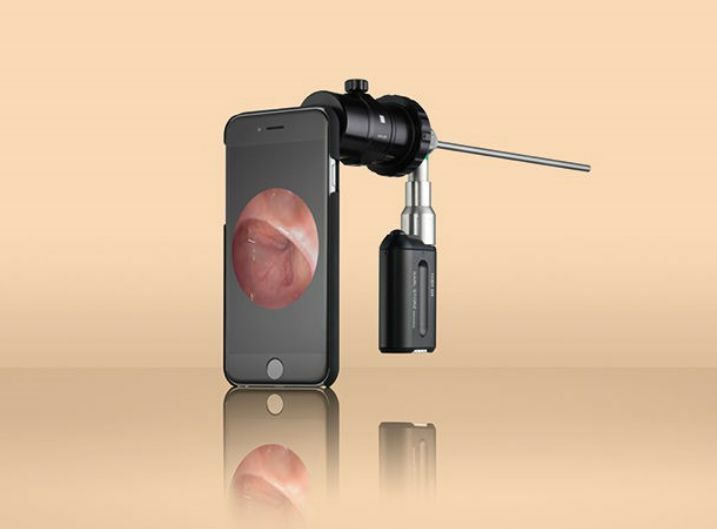 Karl Storz innovative product offerings additionally in-cludes the smart scope which makes it possible to perform endoscopy with a smartphone for ENT. Karl Storz has been a leader in the field of otorhinolaryngology since it created its first instrument in 1945, with a product offering of approxi-mately 6000 different instruments, Karl Storz is capable of meeting all clinical needs in the field of ENT from one source. 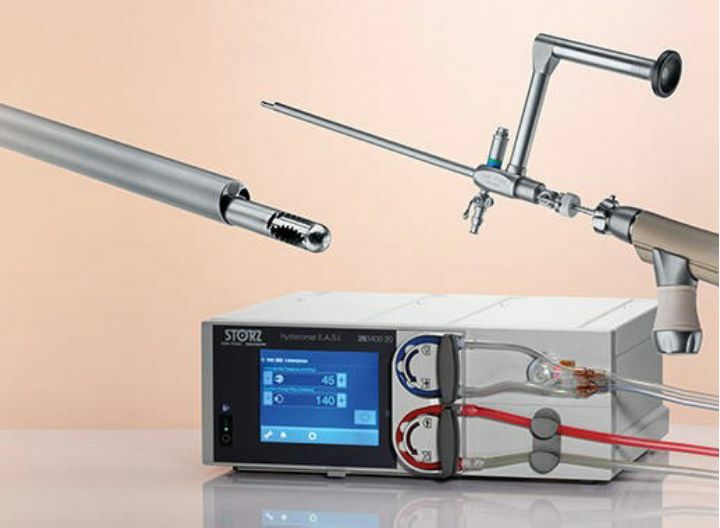 The extensive product portfolio includes rigid endoscopes, flexible fi-berscopes, power instrumentation, high tech systems for video-assisted endoscopy, as well as endoscopic and surgical instrument sets. Karl Storz endoscopy solutions for neurosurgery offer unparalleled performance in minimally invasive neuroendoscopy. Karl Storz product line up includes solutions in intraventricular inter-ventions, transnasal access, Endo-assisted and endoscopically con-trolled micro neurosurgery, as well as a dedicated pediatric portfolio. Karl Storz offers a wide range of minimally invasive endoscopy solu-tions designed to meet the highest standard in arthroscopic proce-dures. Karl Storz portfolio includes solutions in joint surgery of the knee, el-bow, shoulder and hip as well as the wrist, ankle and interphalangeal joints. In addition Karl Storz offers a portfolio of titanium and bioreab-sorbic implants for arthroscopic reconstructive procedures. Karl Storzs portfolio answers your needs in minimally invasive spinal surgery. 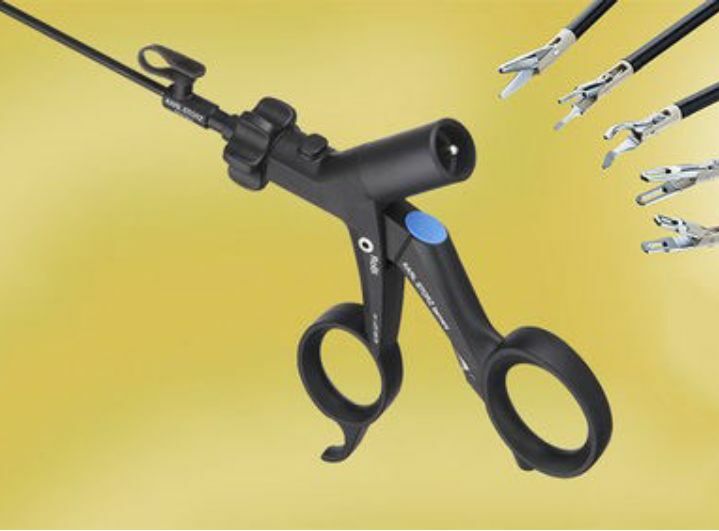 The product range includes access optimized telescopes and instru-ments for fully endoscopic procedure as well as instrument sets for endoscopically assisted, microsurgical and open spinal surgeries. 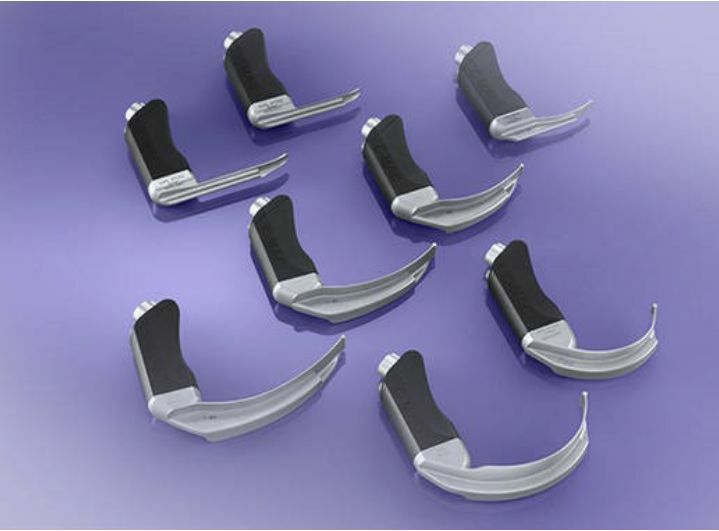 Karl Storz offers a complete range of instruments with the purpose of minimizing the complications of difficult airway management. From conventional laryngoscopes to flexible fiberscopes and BONFILS retromolar intubation endoscopes, to the infamous C-MAC video laryngoscope and the CMAC monitor. 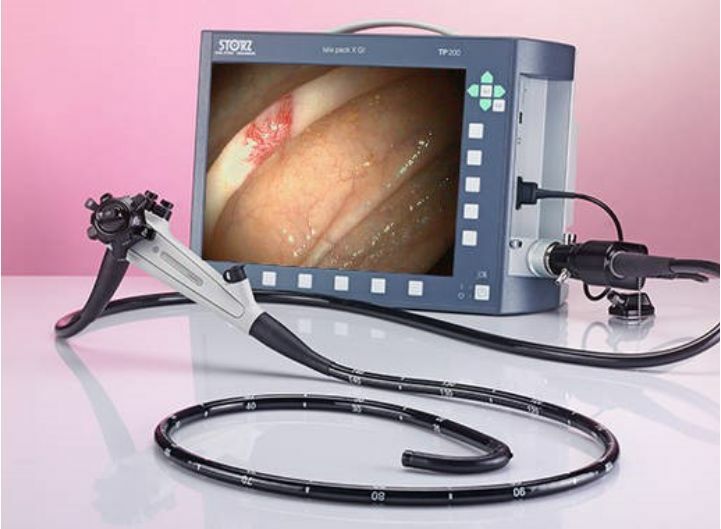 Karl Storz offers a comprehensive portfolio of instrumentation for pro-toscopy and rectoscopy. The product range includes proctoscopes and rectosopes with visuali-zation and documentation of exams.